All states differ in their requirements on acquiring a notary public commission license. Before setting your sight in pursuing this career, you must first determine if you meet the required qualifications for appointment. This ultimately decides (or limits) your future in this course. 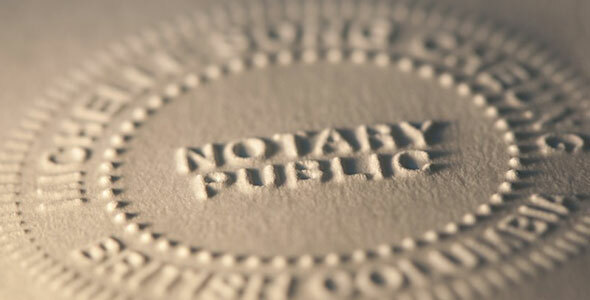 Moreover, depending on where you live, the duties that notary publics can perform may vary. For example, in Florida, in Maine, and in South Carolina, a notary public can perform a marriage ceremony, while a notary public in Texas cannot. Only after knowing the extent of responsibilities they have in your state can you be sure whether you will be able to do what you wish to do with your commission. If you choose the latter, read on these five tips that can help you in acquiring your notary public commission in Texas or other states. To become a notary public in Texas, you need not take an exam. However, some states like Florida and California have it as part of the process. In this case, it is necessary that you review and be familiar with relevant laws. You may also seek the services of qualified notary education vendors. Training is needed before taking the examination in Colorado as well as in California. For the former, they allow you to opt for the free course offered by the state over the state-recognized training program. For the latter, a six-hour training must be completed online or on a home-based study. More than reviewing, you must also make sure that you can finish the exam within the given time. To do this, you can take quizzes or mock exams that you can find over different internet resources. If you are the old-school type, a friend or a relative can help you by using flashcards or by asking you a series questions related to the exam. Before you apply, you should make sure that you have everything ready. States have different requirements so you must be aware of those. For example, an aspiring notary public for the state of Texas would have to submit a completed Form 2301, proof of $10,000.00 surety bond, and the required state appointment fees. States requiring exam or training may have additional requirements. Make sure that there are no errors in the information you provide. As this is an important government transaction, make sure you complete the necessary forms correctly to avoid delays in processing and possible rejection. As notary public terms expire after a certain number of years depending on where you live, you will have to renew your commission before then. Having a notary public commission is a profession that allows you to uphold the law in one form or another; many consider this type of job to be very rewarding.